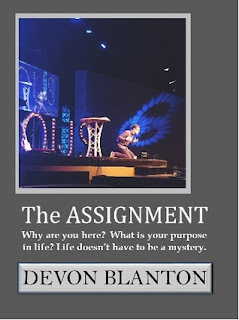 The ASSIGNMENT is a book that was inspired by constant questions from people who simply wanted to know, what life is all about? The desire to find purpose and significance is a staggering need for the modern church of today. People who find it truly know peace. Those who do not, can search a lifetime and never know that the answer is right in front of them. Inside these pages are unique perspectives that are expected to trigger those “ah ha!” moments for every reader. Truly, this could be the “GAME CHANGER” that effects you for the rest of your life! Dr. Devon Blanton is a pastor conducting a full time ministry along with a very busy Christian Counseling practice. He holds an earned Doctorate in Religious Education, specializing in Counseling. He is certified in Family and Marriage, Grief and Drug Abuse and Health and Nutrition. He is also a Certified Health Coach. His post-doctoral pursuits include an earned diploma in Psychiatric Studies. He also completed brief studies in Cardiology and Resuscitation from Perelman School of Medicine, Penn State University. He further expanded His studies in nutrition from Texas A&M, Vanderbilt University and Stanford University. This all coincides with his four pillar philosophy on Counseling. These focus on the Physical, Spiritual, Emotional and Financial parts of who we are. 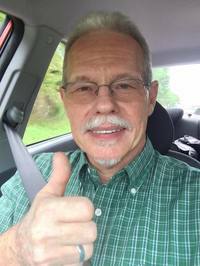 He is also the Founder of Cross Anchors Solutions, a high level training program out of Durham, NC providing training in Leadership Development, Biblical Counseling I, II, Advanced Biblical Counseling and Health and Nutrition. Once I received this book I found myself looking forward to it daily, and now use it as part of my journey. I now have an awesome study guide, and am learning “Why Am I Here”, and I am learning going through the thirteen chapters, and understanding the Assignment. Each chapter allows me to reflect, and then offers further study in m bible. I received this book through Dr. Devon’s Street Team, and was not required to give a positive review.